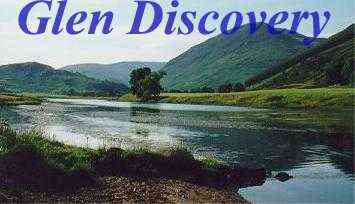 Dundee's documented origins as a burgh go back to the medieval period. Indeed, some years ago, the 800th Anniversary of the first charter was celebrated. Prior to industrialisation from the late 18th century, Dundee was a trading burgh with strong links to the Baltic. The Market area, now Dundee High Street, was a wide street almost completed enclosed by buildings, with only narrow vennels giving access. Some of these still survice. As in the Hanseatic towns of the Baltic region, this provided shelter for the activities of the merchants, much of which took place in the street. When merchandise came in packages which could be carried by men or beasts of burden, the narrow access passages were no incumbrance to trade. As Dundee industrialisation began, larger loads led to the need for improved access. 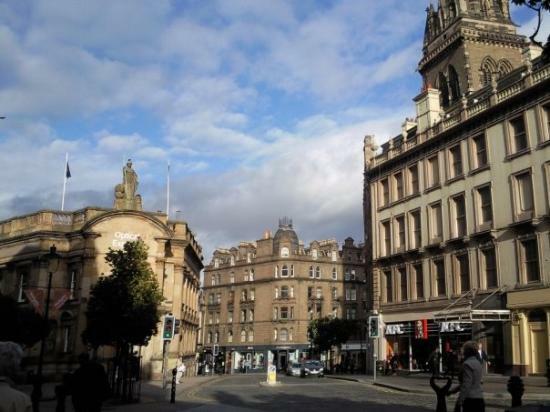 Growth in the urban fabric outside the medieval burgh also led to the need for change. 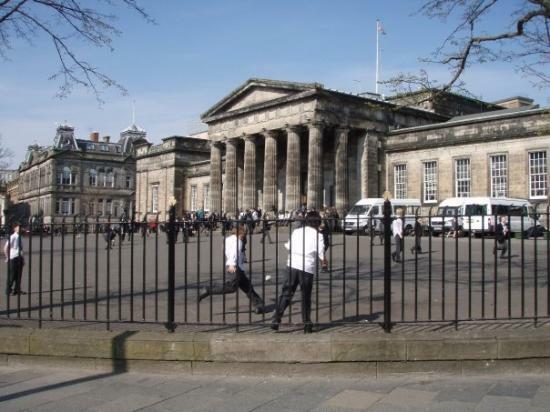 By the mid nineteenth century, various improvements had taken place, notably Castle Street, Chrichton Street and Union Street leading from Nethergate to the harbour and Reform Street from Nethergate to the Meadows. Manufacturers and Traders in the burgh wanted wider streets for the passage of goods. Resistance by more conservative elements had prevented more ambitious developments. Population growth had led to overcrowded housing in the city centre. The chronic problem of an inadequate water supply had been overcome by the piping of ample clean water from Lintrathen. Security: There was a perception that slum housing was a reservoir both of ill-health and crime. By removing the slums it was expected that both problems would be reduced. Little provision was made in the Police Acts for accommodation of the displaced poor. As a result the problem would be relocated rather than solved. Utility. Commercial pressure for offices, shops and trading space could be satisfied. Improved transport infrastructure for goods in and out of harbour, whether intended for local traders and manufacturers or for the hinterland. The desire for improvement, did not of itself create improvement. There were issues of Practicalities and planning. The Lamb Collection in the Dundee Wellgate Library contains some of the detailed plans drawn up to achieve the improvement. The areas zoned for improvement were surveyed and 26 plans produced, identified as A to Z. 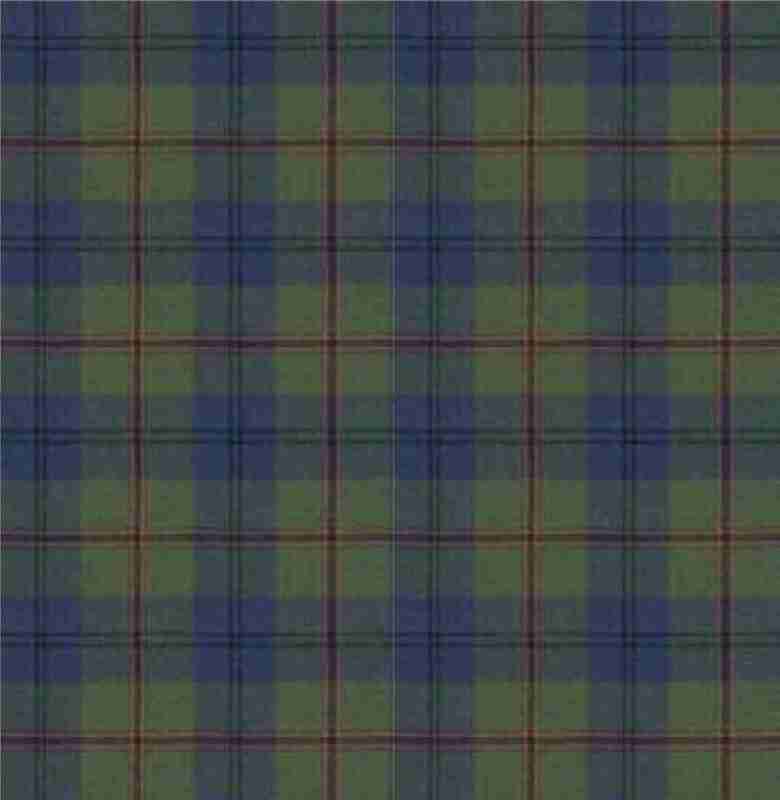 Further plans covered Lochee. A bound volume enumerated every property shown on the plans, including the owner, lessees and occupiers of each. On the basis of this survey, compensation was offered to the property owners. In many cases the valuation was disputed and arbitration invoked. Whitehall, delimited by Nethergate, Union Street, Dock Street and Crichton Street. 128 properties were affected by the planned development of Whitehall Street and Whitehall Crescent. South of the Seagate with realignment and widening of the lower part of Commercial Street, this affected 52 properties. An area between Seagate and Murraygate, totalling 105 properties. Within this area, designated V, the plan shows 8 closes opening off the south side of Murraygate, serving back courts and exiting by four closes on the North side of Seagate. All but one of these, - St Pauls Court - would be closed. This plan and the accompanying description depicted a complex, behind the frontages, of back lands, sheds, toofalls (Chambers Scots Dictionary - a lean-to structure), stores and derelict buildings. The text gave a flavour of the many trades and professions being carried on at the time. Once the detailed plans had been developed, there followed the actual process of improvement. Armed with the powers given it by the Police Acts the town purchased the designated properties and demolished as much as was necessary. The new streets were laid out, as listed in the next paragraph, and guidelines issued in respect of the buildings to be erected. Sites were feued to developers and the income used to defray the expense of acquisition and clearance. However, a downturn in trade delayed the process and some of the building work had not even begun ten years later. Notes and cuttings in the Lamb Collection illustrate this.In July 1871, ground was cleared for the Albert Institute, and the Lindsay Street ‘quarry’ was cleared. Plans for the Courier building on Ward Road were announced.In April 1874, plans were advertised for improvement in the line of Barrack Street. Don Brothers Buist, whose mills were affected, would build new offices and warehouses in the Italian style. In May 1876, the sale of lots for the new Commercial Street was advertised. The elevation sketches by the Burgh Architect, Makison, showed a 4-storey terrace in an Italianate style. Features included cast iron pillars and rusticated stone piers. Photographs in the Lamb Collection show that building work was not finally completed until the late 1890s. In May 1879, old houses in Ferry Road were to be removed and the roadway widened and realigned. In September 1880, the improvement of Gellatly Street were finished, with the new street laid out and buildings completed. Bucklemaker Wynd was realigned and renamed Victoria Road. South Commercial Street was widened, realigned and building lots feued. Whitehall Street and Crescent were laid out. Not all the building lots had been developed by the end of the century. North Commercial Street was cut through the narrows of the Murraygate up to Albert Square in the Meadows. Ward Road and Bank Street were laid out as east/west passages. Gellatly Street widened and made a through road from Dock Street to Seagate. Further Police and Improvement Acts were obtained in 1878 and 1882, partly as a result of the expiry of the powers granted by the 1871 Act. Developments resulting from these included. The difficult and narrow corner of Bucklemaker Wynd at the back of the Wellgate was removed, although it had apparently been renamed as a result of the previous act. Nethergate was widened and the obstructing buildings to the west of the market square removed. Guthrie Street was extended to Polepark and sanitary improvements made. So what was the quality of achievement in terms of urban change. How had Dundee improved? Planning had been more coherent and comprehensive. Streets were wider and cleaner. The building line had been made uniform and handsome terraces erected, for instance in Commercial Street reminiscent of the style of Haussmann in Paris. Property values had increased and new and enlarged commercial premises erected. However, the period from 1870 onwards was also when many of the remaining middle class residents left the city centre. This was not peculiar to Dundee, as new technologies made commuting from more spacious suburbs practical. The bias of the improvements had been towards commercial premises, rather than residential, as these were more likely to repay the debt incurred by the city. The Police Acts did not just cover the built environment. It also gave the municipality extensive new planning powers and the power to eliminate nuisances of all kinds. 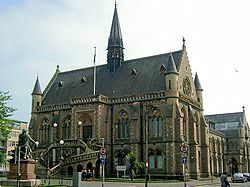 In many ways, Dundee actively transformed itself during the 19th century into a modern commercial city, while preserving aspects of its medieval character. Around the commercial centre there was now a major manufacturing centre, concentrating on Jute and linen textiles, but with ship-building and engineering supporting it. Many of the better-off fled to the new suburbs, such as Broughty Ferry. 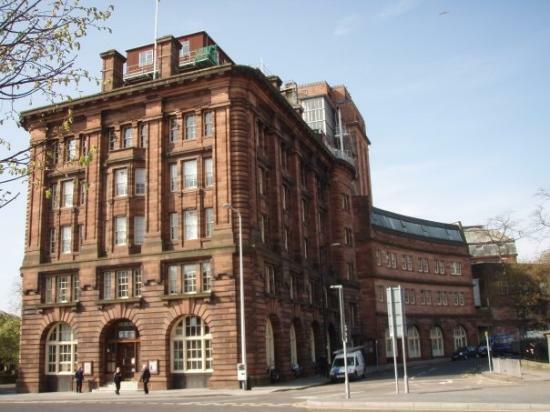 In the 20th century, post-war period, especially the 1960s, much of medieval Dundee and some of the 19th century buildings too, would be torn down in a far less sensitive manner and replaced by brutal concrete.